The First Four is all done. The day is now Thursday and that means it’s time for the 64 remaining teams of March Madness to go into full effect like 1980’s rappers. 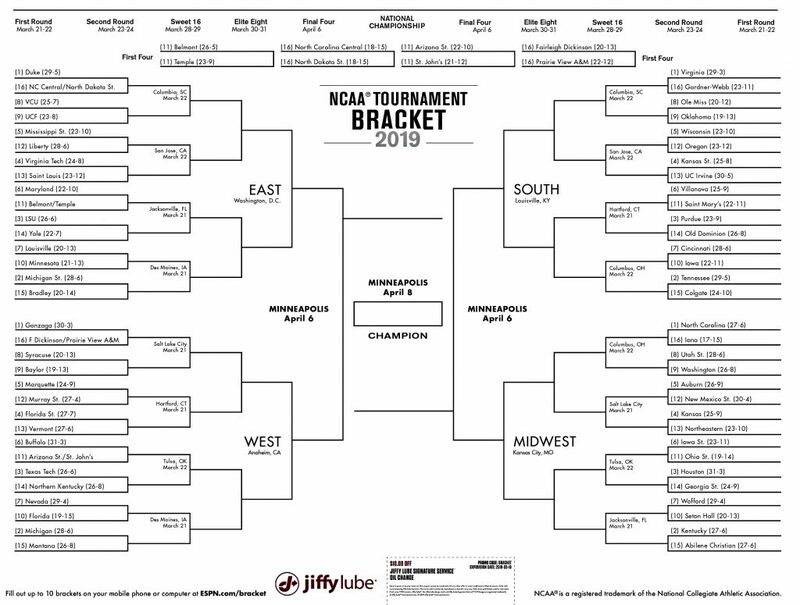 If you are looking to print out the best March Madness NCAA Brackets for the 2019 tournament, then you are in luck because you are definitely at the right place. 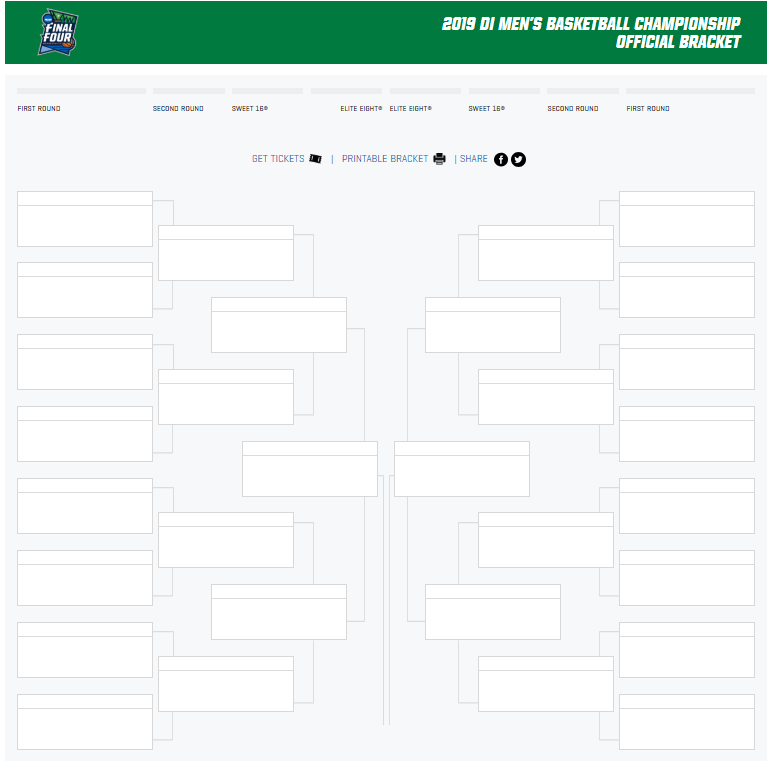 Every March, it seems like there is no shortage of quality brackets for fans to choose from, and this year is no different, we’ve sorted through the bracket field, literally and separated the contenders from the pretenders.. 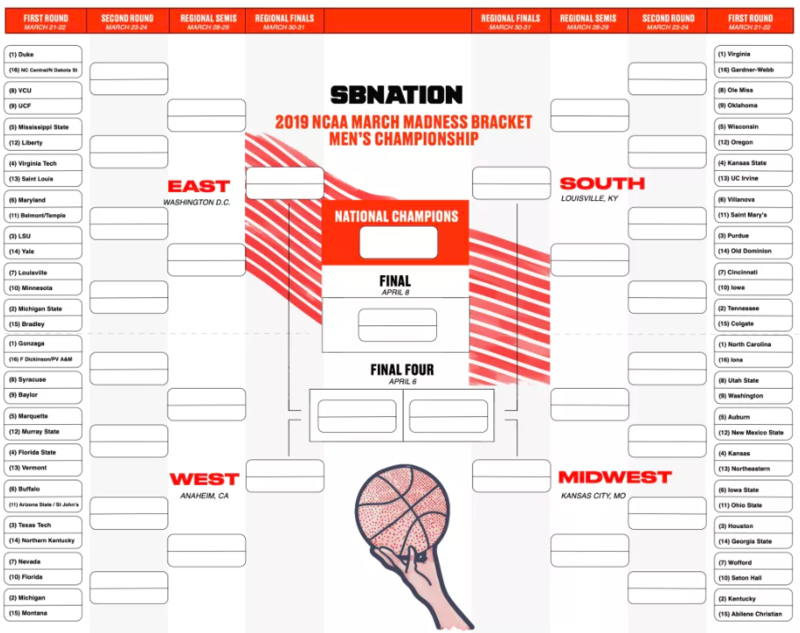 It would be almost impossible to try to list out all of the best printable NCAA tournament brackets for the 2019 edition of March Madness (but we did anyways — here’s 15 other great brackets). In any case here’s our best brackets. If you have a site that you think we have missed, or that we should check out please leave us a message in the comments section below. CBS Sports is one of the most experienced TV networks when it comes to covering March Madness. The CBS Sports Bracket Manager is one of the best available online, and you can enter some pretty neat contests if you beat the opening round kickoff after the first Four. Once a small independent site, SB Nation has grown dramatically over the last decade. And the sports website continues to have some of the best March Madness coverage out there. The 2019 tournament is no different when it comes to NCAA Tournament coverage. You can’t beat some of SBNation’s NCAA coverage and articles and info the site comes up with, especially for many of the smaller schools. Some compare SB Nation to a better version of Bleacher Report. ESPN is one of the most popular sports networks in the world — probably the most-popular actually – when it comes down to finding quality sports news and coverage and updated scores. That’s no different when we talk about NCAA Tournament basketball coverage. 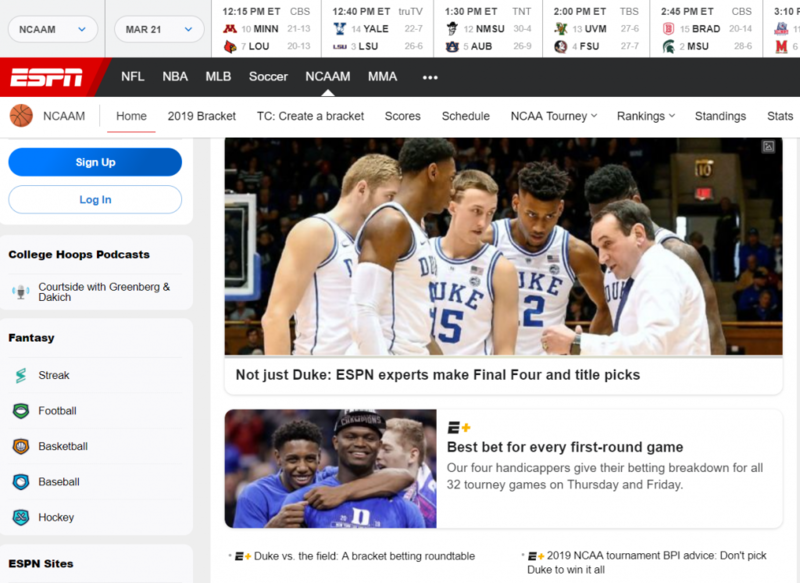 Whether you are looking for a March Madness bracket or simply want to fill out your bracket online to manage it, ESPN has you covered. 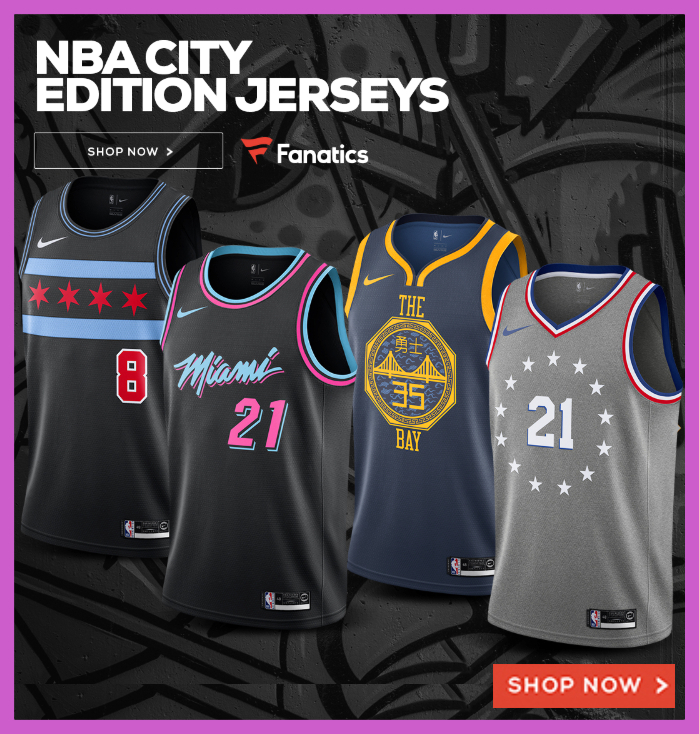 Similar to CBS Sports, you can also enter their online bracket contest to win prizes this season. NCAA.com has done it again this year. 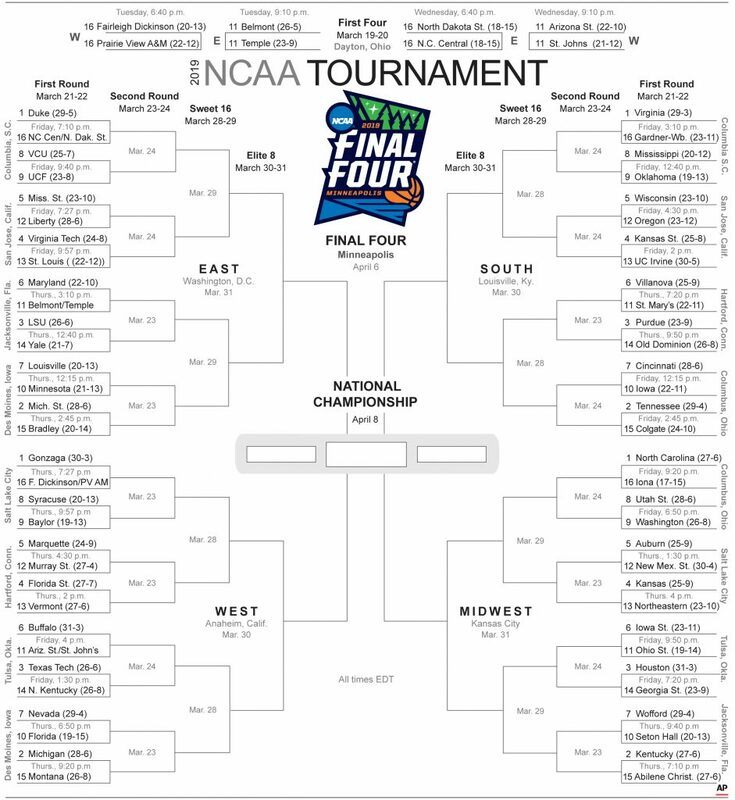 The official organization had a realization a couple years ago that people loved downloading and printing brackets. So NCAA.com has made significant (and smart) investments into their online brackets and bracket managing products over the years, and this year they have continued the trend. Again this is just a handful. 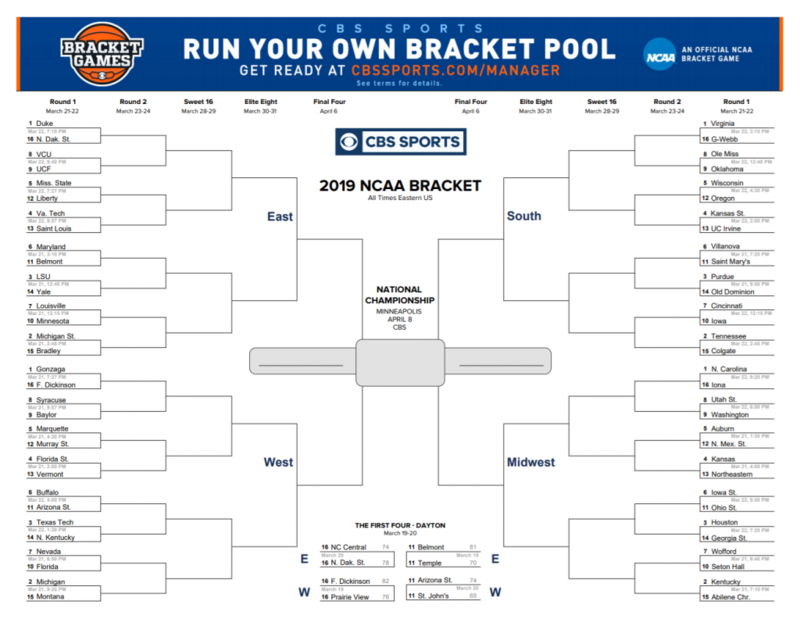 If you’ve got an eye for different designs whether blank or in color, go to our homepage and you’ll find a variety of printable NCAA tournament brackets that will fit your tastes and March Madnesss lifestyle.